The matriarch A24 Kelsy born in 1967 lost her mother A10 in 1983 when A10 and her youngest calf, A47, where shot by a boater. 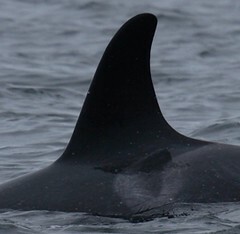 Researcher Dave "Eagle Eye" Briggs, the California-based researcher who perches every summer on a cliff across from Robson Bight, heard the gunshots. 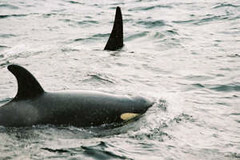 Dave flagged down a whale-watching boat, and they went to check the whales. 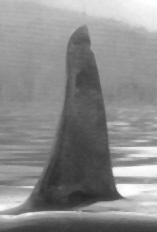 As the boat approached, the whales turned and came directly toward them. 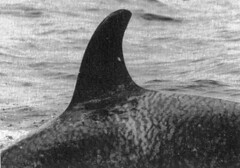 The passengers watched in awed horror. 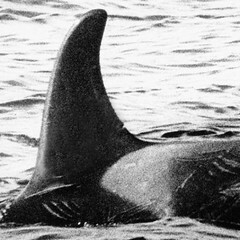 "A10 pushed her wounded calf to my side of the boat," Dave later told me. "We could se the wound oozing blood. 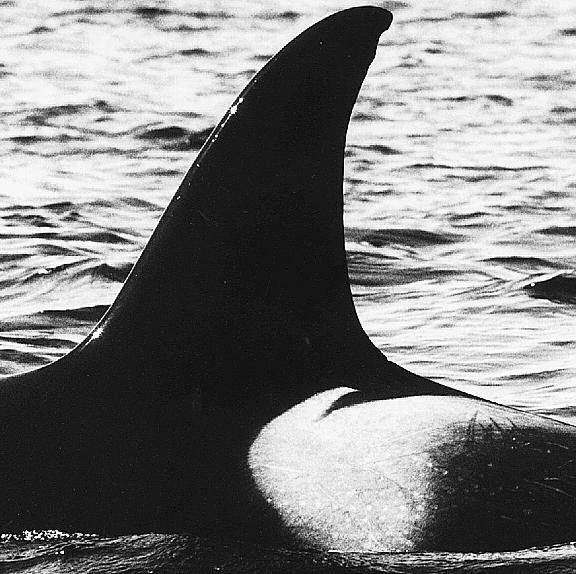 It really seemed that she was showing us: Look what you humans have done." 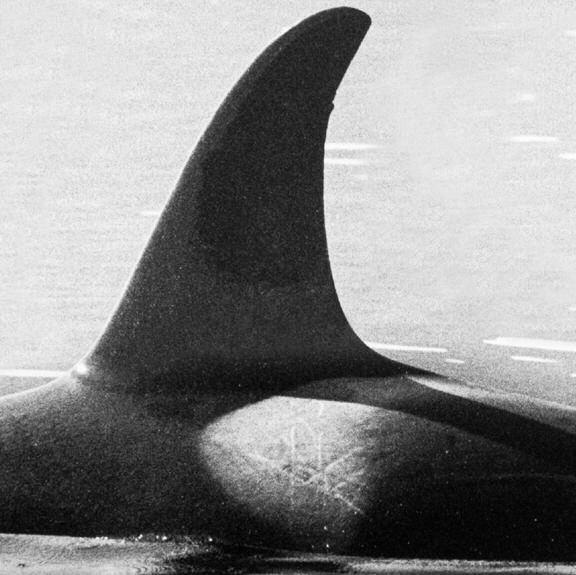 A10 and her baby both died that winter. 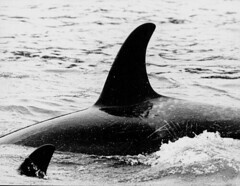 The two sisters, Yakat (A11) and Kelsy (A24), assumed the roles of clan matriarchs while still in their thirties, a young age for orca family heads. 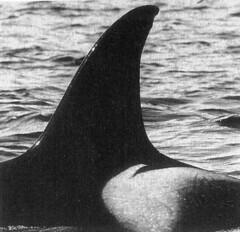 Kelsy had her first calf in 1981, A41 who died in its first year. 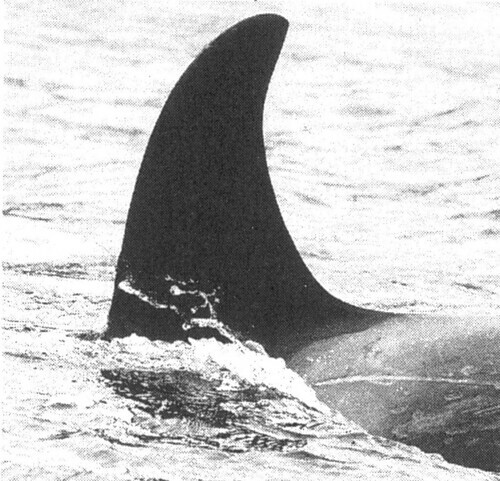 In 1983 A45 Sutley was born. 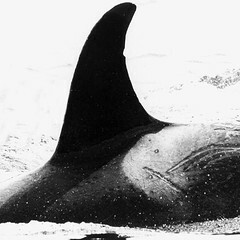 The third calf was born in 1985, A49 and died in 1986. 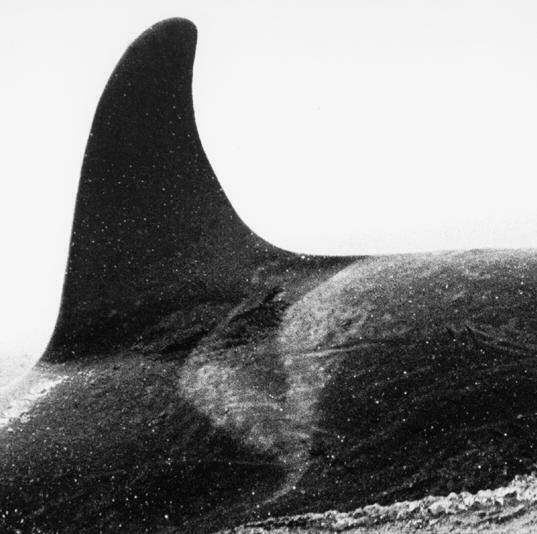 In 1988 A24 had another calf, A53, who lived for four years and died in 1992. In that same year Kelsy had her fifth calf, A58 who died one year later in 1993. After that Kelsy had 3 more calfs who are all still alive. 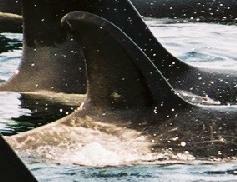 A64, Schooner, born in 1995, A71, Magin, born in 1999 and A78, Toba born in 2003. 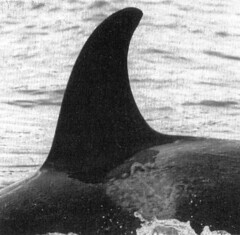 Sutley (A45) had two calfs before she died in 2001. 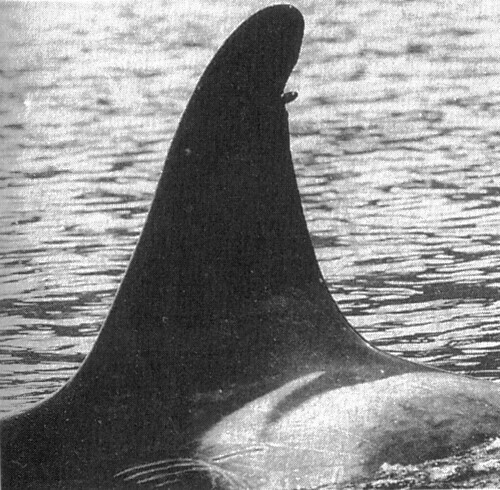 The first was A68, born in 1997 who died in its first year and the second was A73, the famous orca Springer. 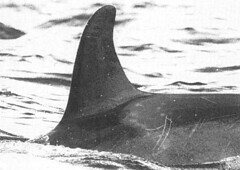 Springer was born in 2000 and lost her mother a year later. Read more about Springers story.. The calls N1v, N9ii, and N19 are exclusive for A4 pod. The other 11 calls are shared with at least the A1s and A5s, except call N13 which is also made by the A5s only. The calls N2, N4, N7i, and N10 are also made by the A1s and A5s. The father of Sutley was A6 Strider of the A30 matriline.